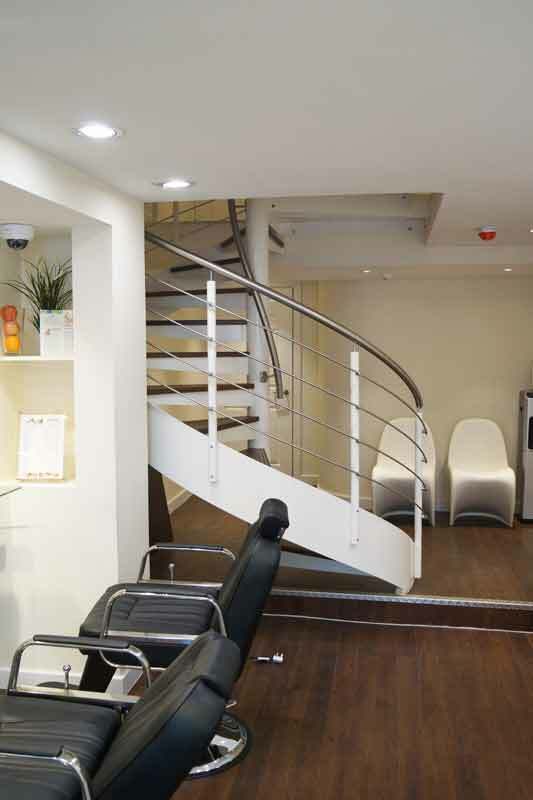 Our client was refurbishing a property in London and creating a new hair and beauty salon. 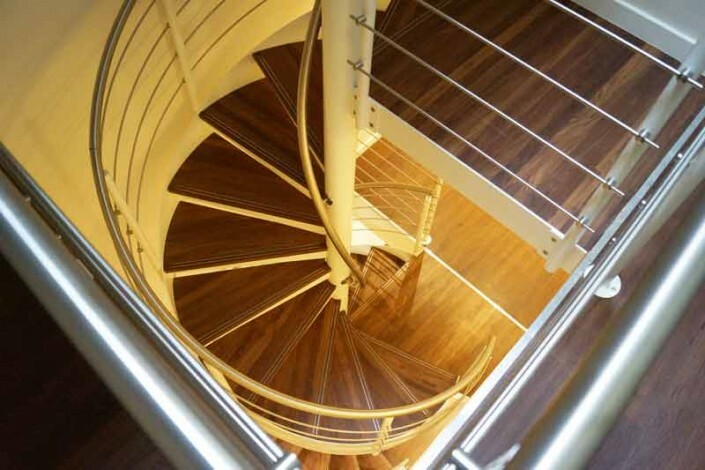 This new establishment was split over three floors and , as will most commercial properties in London, space was at a premium. 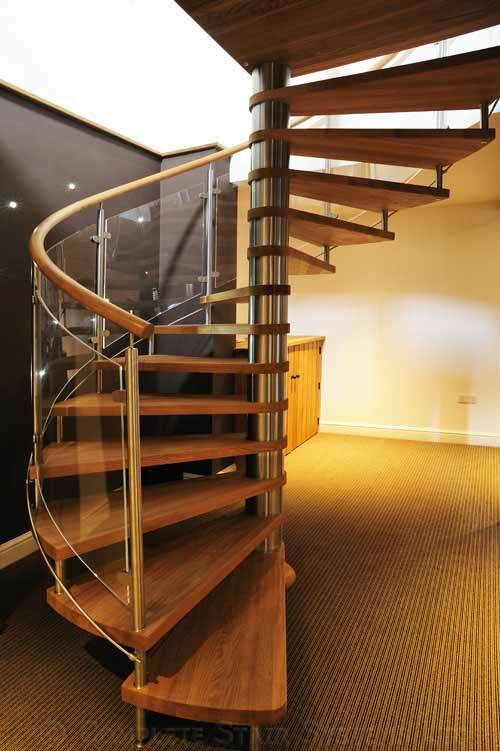 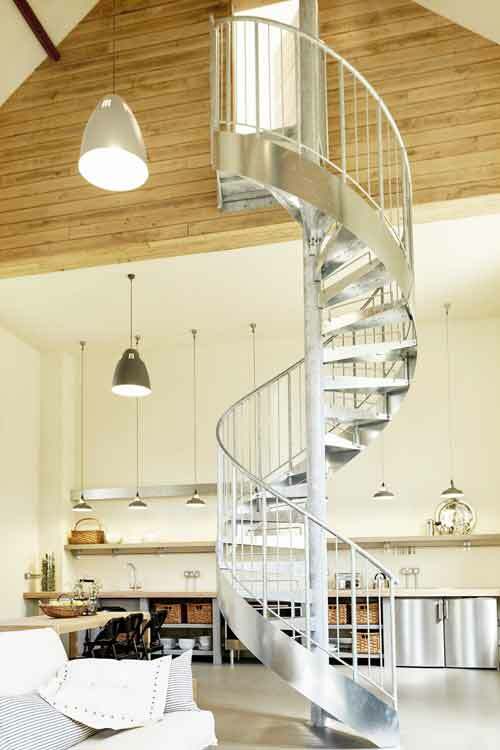 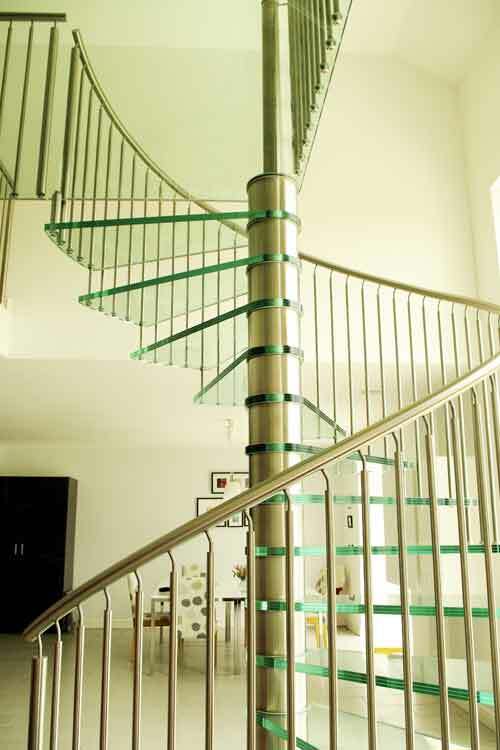 It was decided a spiral staircase was the most efficient way of accessing the three floors and our client spotted a model from our website. 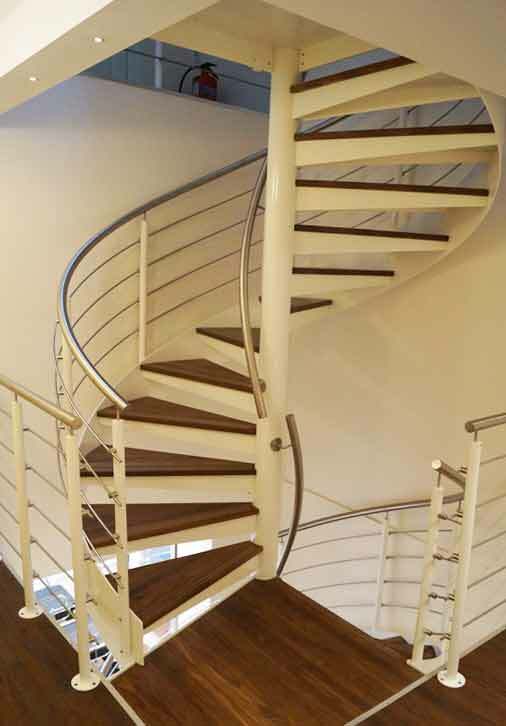 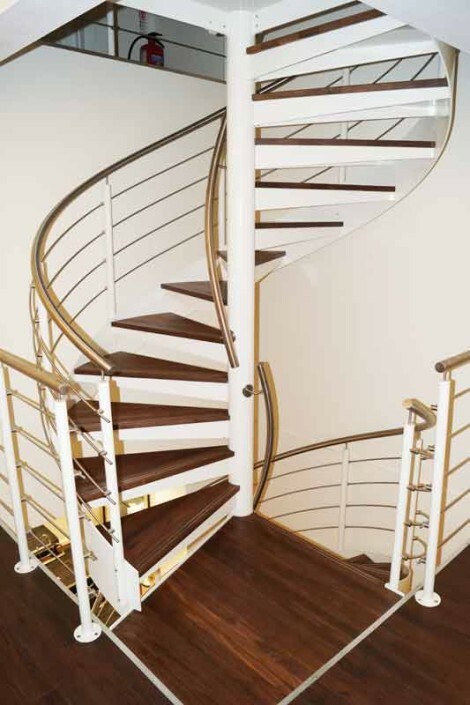 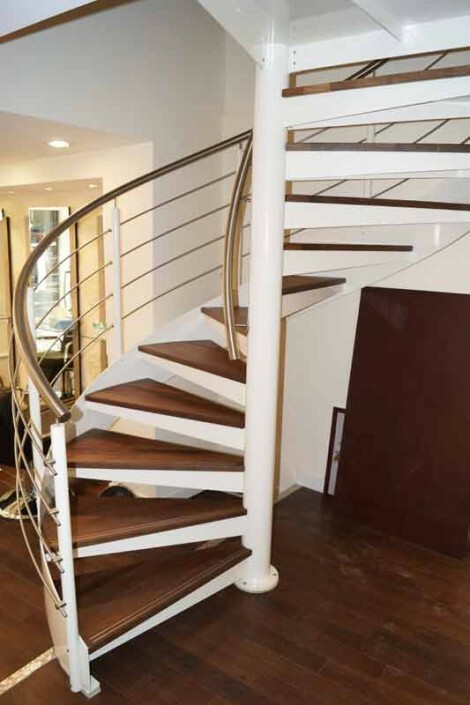 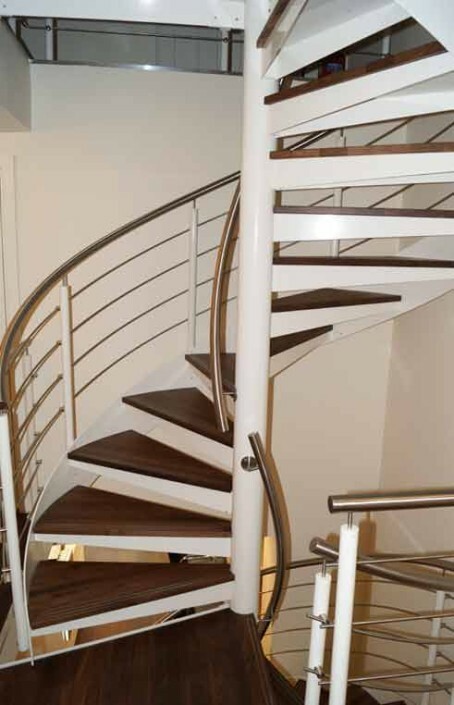 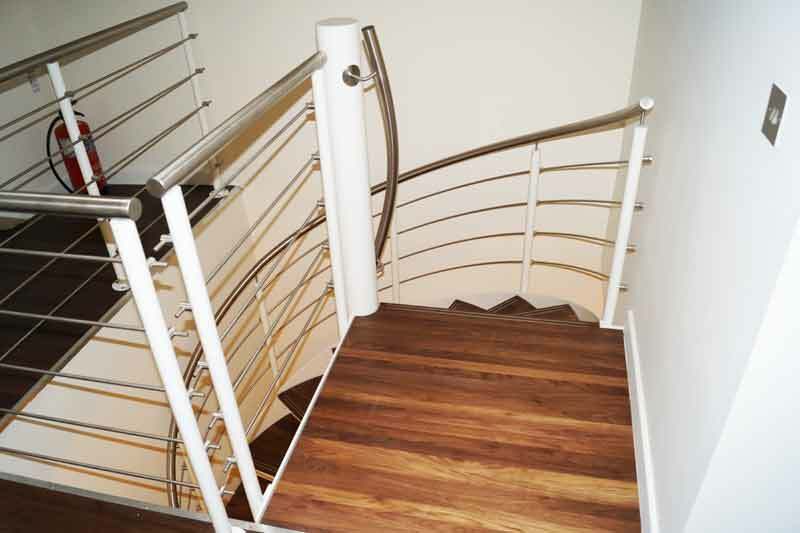 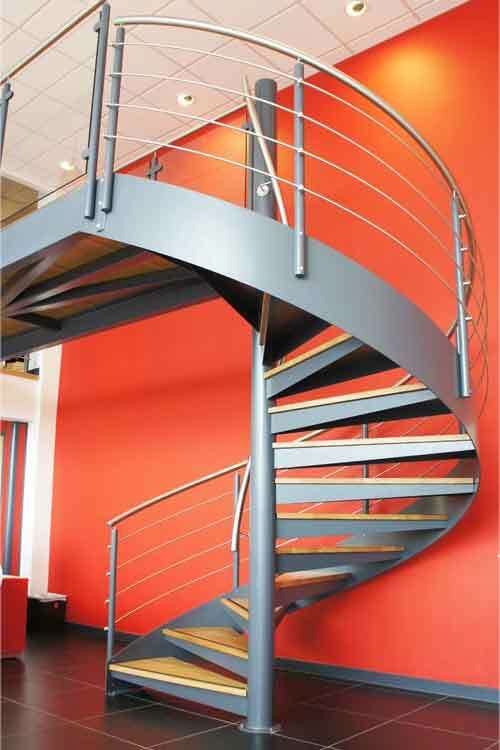 The exact same spiral was then provided for him with walnut treads, stainless steel balustrade and powder coated white steelwork. 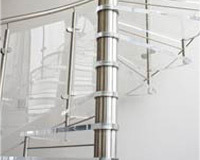 The diameter was just over 2000mm giving sufficient clear tread width (800mm) even with the centre column handrail. 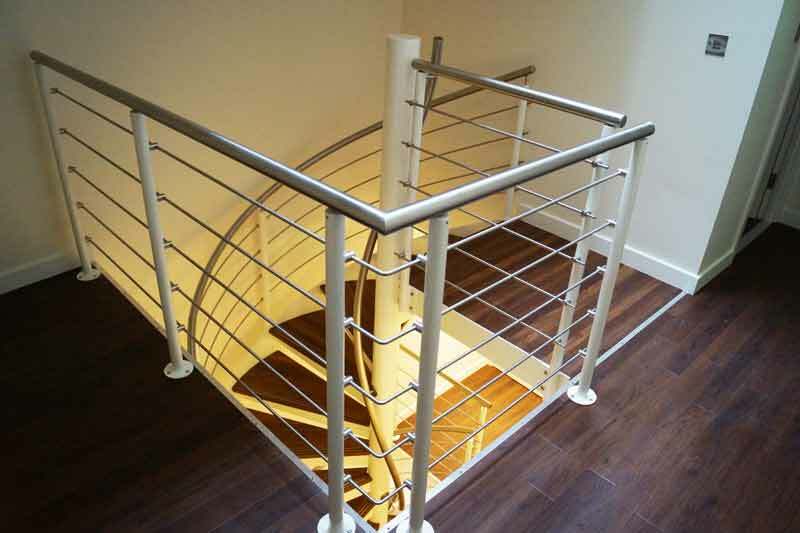 Matching landing balustrade was supplied for each of the upper two levels for protection around the void and the spiral had a lovely swooping external steel stringer wrapping around the perimeter. 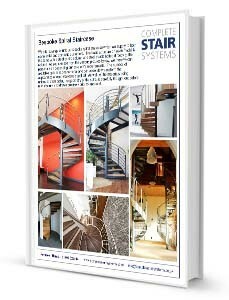 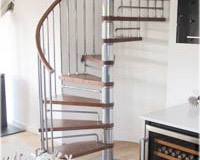 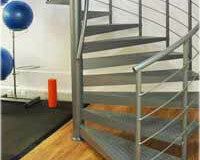 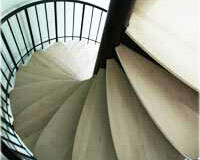 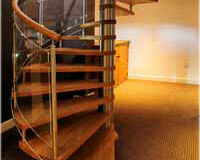 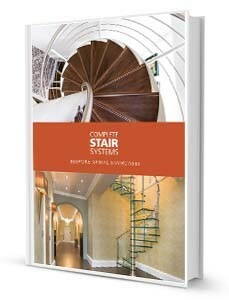 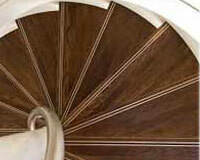 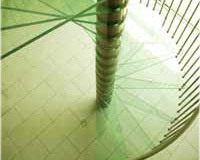 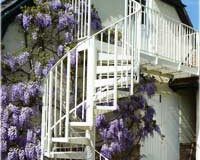 If you would like a price for this Spiral Staircase London project, please fill out the form below.